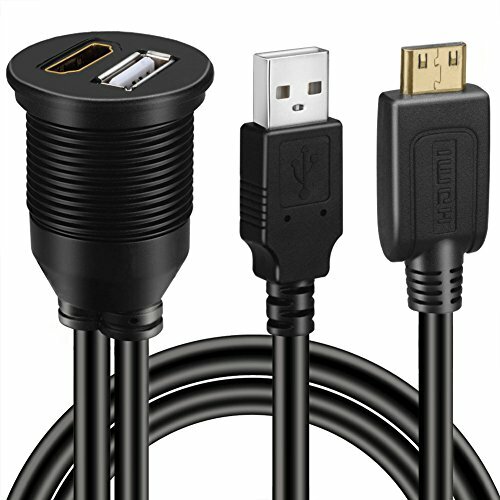 This BATIGE flush mount cable design for car,boat and motorcycle,USB & Mini HDMI Male to HDMI Female extension flush panel mount waterproof cable. Mount cable can be used above the base of the car's dashboard or on the other dashboard,such as boat,motorcycle. Use an existing hole or cut a hole on your dashboard and clip in the socket to flush mount it to your vehicle's,boat's and motors. If you have any questions about this product by BATIGE, contact us by completing and submitting the form below. If you are looking for a specif part number, please include it with your message.